Plan your Maldives escape and enjoy up to 40% savings on your choice of an Over Water Pool Villa or Beach Pool Villa with daily gourmet breakfast and dinner included. Book your escape to paradise and enjoy luxurious island living in a choice of spacious villas perched over water or nestled on our white sand beach. Savour an international gourmet breakfast and dinner at selected restaurants. 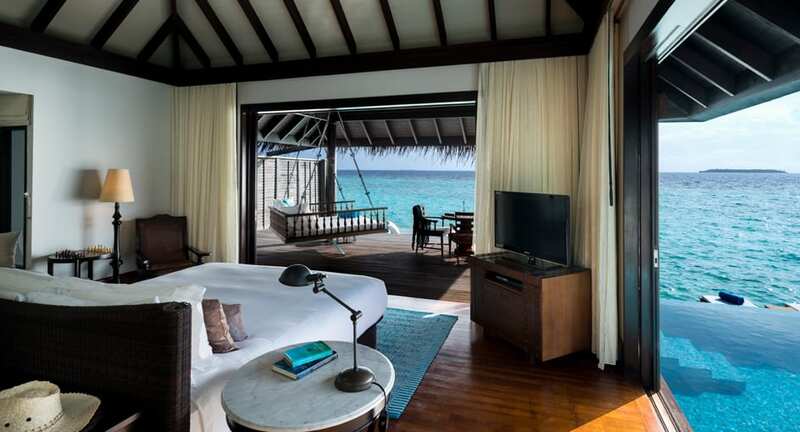 Receive exclusive savings of up to 40% on the Over Water Pool Villa and Beach Pool Villa. Book by 31 May for stays between 8 May and 20 December 2019. The rate is subject to a 10% service charge, 12% goods & services tax (GST), and green tax of USD 6 per person per night. The rate quoted is per night, including savings, subject to seasonal variations and change without notice. Complimentary accommodation is valid for children aged 11 years and younger staying within a parent’s room and is limited to the maximum child occupancy stipulated per room category. Children may dine with compliments on restaurant kids menus only; valid for breakfast, lunch and dinner.